The student-edited landscape architecture journal, PLOT volume 4 (Waste Stream) has received the 2016 Douglas Haskell Award’s Honorable Mention for Student Architecture Journals from the Center for Architecture. 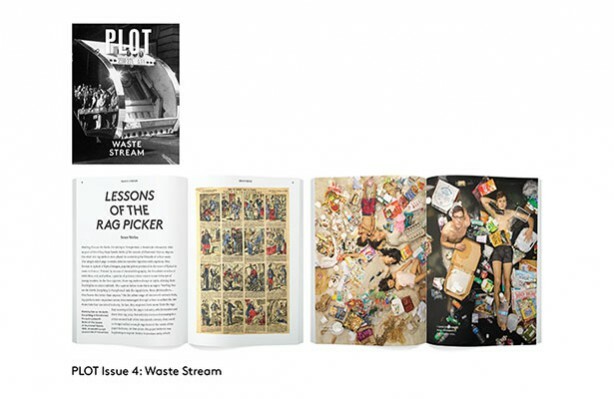 Featuring curated submissions by students, faculty, artists, and practitioners, volume 4 explores the theme of “waste stream” developed by the second-year MLA student editorial board in collaboration with faculty advisor Catherine Seavitt Nordenson and designer Isaac Gertman. Contributions to this issue, published in 2015, reveal many interpretations of waste stream, from culture to terraforming to rethinking our own health and that of our planet. The award jury commended the journal’s topic-driven approach; its format, graphics, and cadence; and its combination of voices. PLOT has also been honored by the ASLA.